This property is located in convenient location. It is easily accessible. It comprises of all the amenities for your stay and gives you a perfect relaxation. The hustle and bustle around the property is quite energizing, it rouses the traveller spirit sleeping inside and pushes tramps to explore the place. 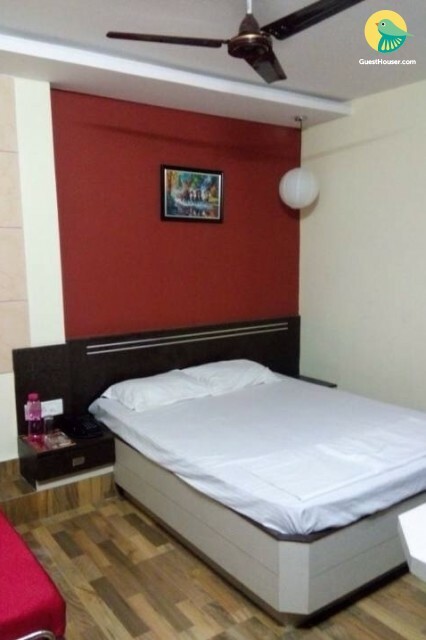 The rooms are very spacious, clean, comfortable, well furnished and maintained. The mushy mattresses and soft pillows make this place unique. It has all the amenities to make your stay more comfortable and relaxed. There is an attached bathroom in the room. Enjoy the stay here to have a memorable experience. Pick up & drop is available on extra charge.